Meeting your significant other online used to be a sort of taboo. Today, 59% of singles believe online dating is a good way to meet someone, which means more people than ever are turning to dating sites in search of love. These 8 facts show just how many—and why. According to research done by match.com, around 40% of single people in the US use online dating. That’s a whole lot of people. Online dating connects you with people you may have never crossed paths with in your day-to-day life. The right person could be waiting to meet you on a dating site. A whopping 3.8 million visits means plenty of active users, an enormous variety of people - more chances to match with the right person. And with behavioral matching technology, the site learns from your activity to improve the accuracy of matches coming your way. Zoosk has become so famous, Flo Rida and T-Pain named a song after it! Just because you’re taking the search online doesn’t mean you have to do it alone. In fact, 1 in 5 online daters have asked a friend or family member with help building their profile. Your dating profile is your first impression and can heavily impact your dating experience for good or for bad. Having someone who knows you well help craft your dating profile can result in more quality dates. If you’ve decided on Zoosk and still need help tweaking your profile, try this ultimate guide to boosting your zoosk profile to up your game. Some 64% of married couples say that having shared interests is important to a successful relationship. Online dating helps you connect to people who share your core values and interests by narrowing down the playing field before ever introducing you to someone. 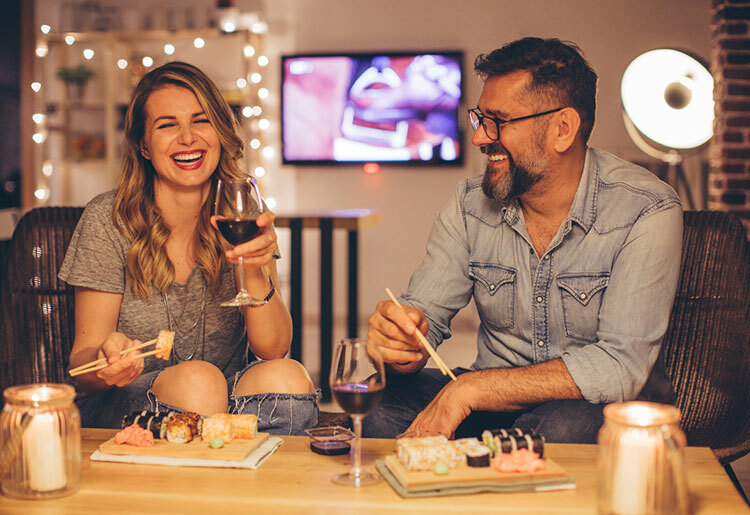 While online dating does take time and energy - one in 10 adults average over an hour a day on a dating site or app - in the long run it makes it easier for you to find a truly compatible partner. So, consider the benefits of using a dating site and choose the right one for you. Over 10 million relationships in the US alone can be credited to match.com. That’s a whole lot of happy couples! The oldest and one of the most beloved of dating sites, match.com pairs expert matchmaking with detailed search filters to give you a great dating experience. Daters aged 50+ are more confident in their dating decisions. Close to 60% believe they make better decisions when it comes to compatibility than they did when they were younger. Around 42% say they have better quality dates. The good news for these mature daters - there is a dating site created specifically for you. OurTime is online dating dedicated to the 50+ community. The site is user-friendly with simple communication tools. If your over the age of 50, OurTime could be the best choice for you. A user-base like EliteSingles’ - made up of educated singles - is hard to come-by. If that isn’t enough, every 8 minutes a single finds love through the site. 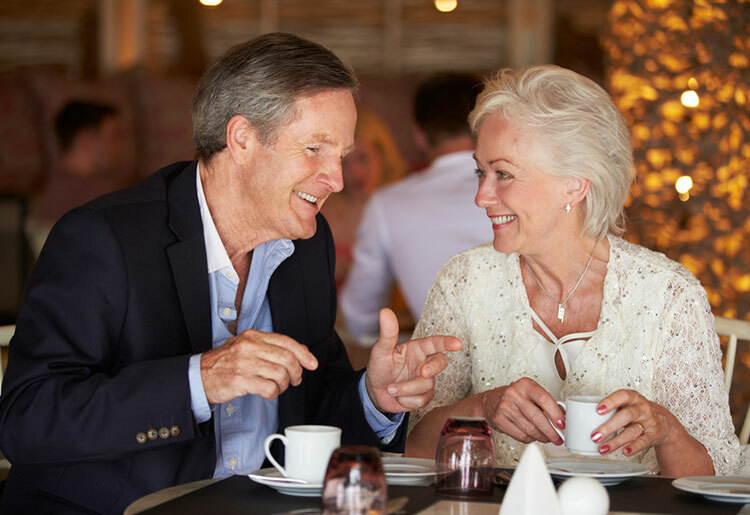 Members on EliteSingles are typically age 30 and older, and seeking a serious relationship. New members complete a compatibility test during signup, allowing EliteSingles to later match them based on personality. The potential downside is the relatively high price of membership. Still, all things considered, the quality and accuracy you get from the site is well worth the cost. Grant Langston, eharmony CEO sums it up best, saying, “We want to set people up on their last first date.” Take Nancy and Jack for example. After going through a traumatic divorce, Nancy’s friends persistently suggested she try online dating. Convinced that technology wasn’t the right way for her to find love again, Nancy refused. Finally, after hearing a radio ad for eharmony, she decided it was time to give online dating a chance. It didn’t take more than a few messages back and forth with Jack, for it to be clear that there was something real between them. Nancy moved to Madison to live with Jack and says that all of her friends now want to try eharmony. With a matching technique based on 29 dimensions of compatibility, eharmony has led to more than 1 million marriages nationwide. In order to bring members the best possible matches, eharmony has an extremely lengthy signup. Users answers a long list of questions, then used to determine compatibility. These 8 facts all point to the success of online dating - and numbers don’t lie. If you’re feeling hopeful and ready to put yourself out there, check out our list of the best dating sites out there. Sarah is an experienced digital content writer with a keen interested in online consumer products. She writes about delicious food, online dating and wellbeing.